The difference between a pair of non-cuffed pants and cuffed pants comes down to the fabric at the end of the pant leg. Non-cuffed pants will have extra fabric folded up and sewn inside of the leg as a hem, which gives it a clean visual appearance and allows for the possibility of lengthening the pant. Why wear cuffed pants over non-cuffed pants? Whether or not you want your pants or trousers to have cuffs comes down to personal taste. Cuffs were more popular in the past and have slightly more formal associations. They also provide pants with more weight, both physically and visually—they can add to the drape of wool pants and trousers, and will emphasize the crease line of a trouser. By contrast, pants and trousers without cuffs are more modern and maintain a cleaner visual line from top-to-bottom. Ultimately, choosing trousers with or without cuffs won’t make a suit appear more formal or more casual. 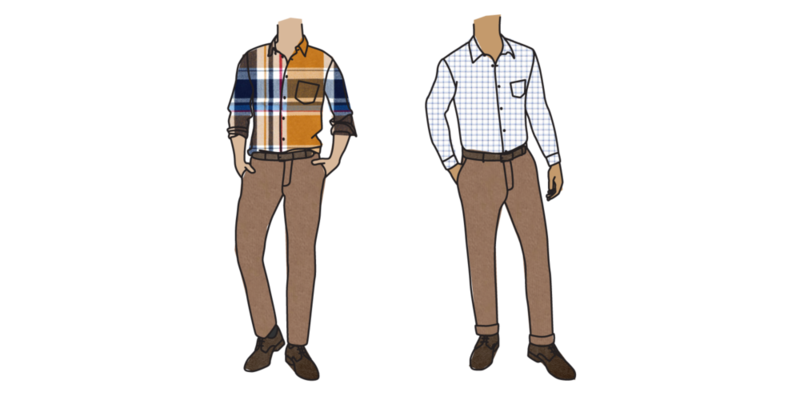 Cuffs have a little more impact on casual pants like chinos, making them slightly more dressy but not so much that they can’t be worn casually.